Are you a full time mom? Do you have an active lifestyle and want to keep your freedom of movement? 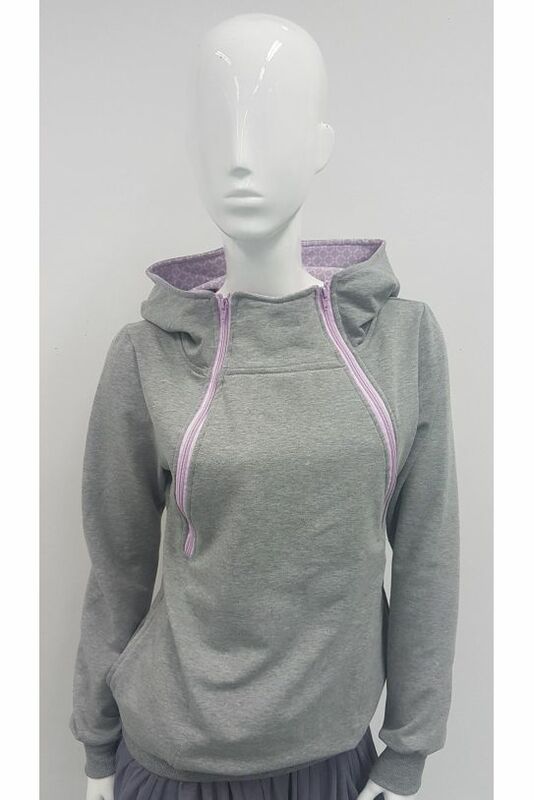 The sweatshirt from our breastfeeding collection is designed for you! 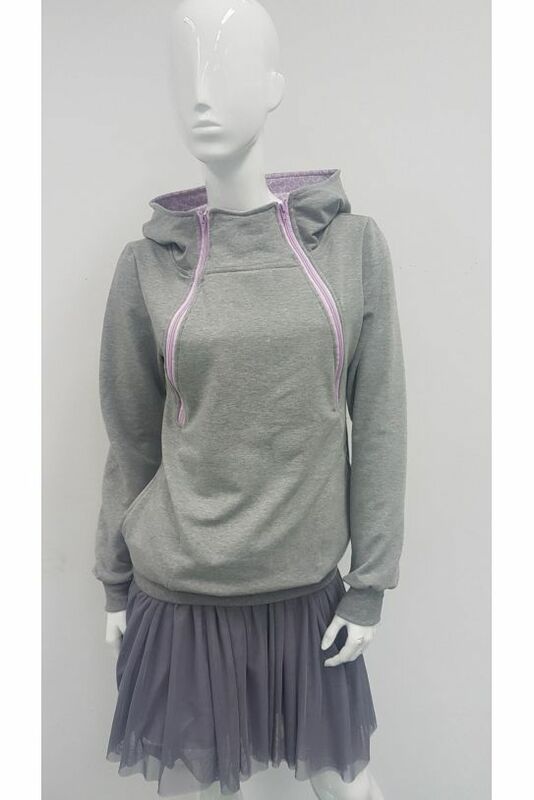 The light gray fabric of the sweatshirt with a zipper we combined with accents in a subtle lilac color. 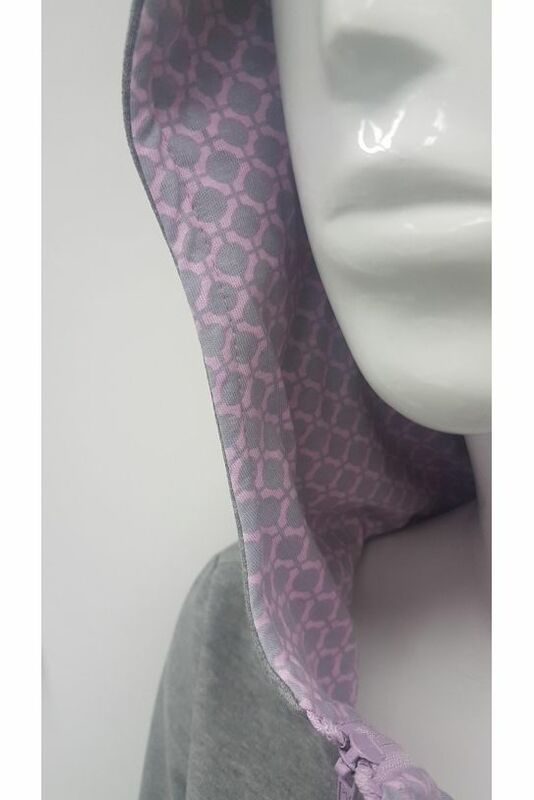 The whole is complemented by a practical hood, which inside is decorated with a fabric with a delicate pattern matching the lilac zippers. 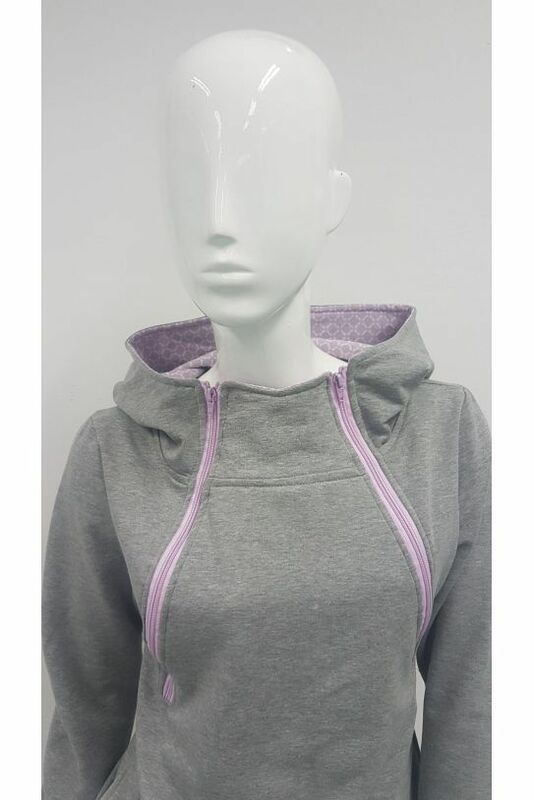 But the zippers in this sweatshirt are not just a trendy accent! This is our little secret - you can discreetly expose your breast when you want to feed your baby. Just slide one zipper to the right place and you're done! You do not have to undress yourself. The pleasant to the touch fabric makes it easy for you to cover yourself with this sweatshirt during both summer and evening walks by the sea, as well as autumn trips to the country. Be fashionable regardless of the time of year! 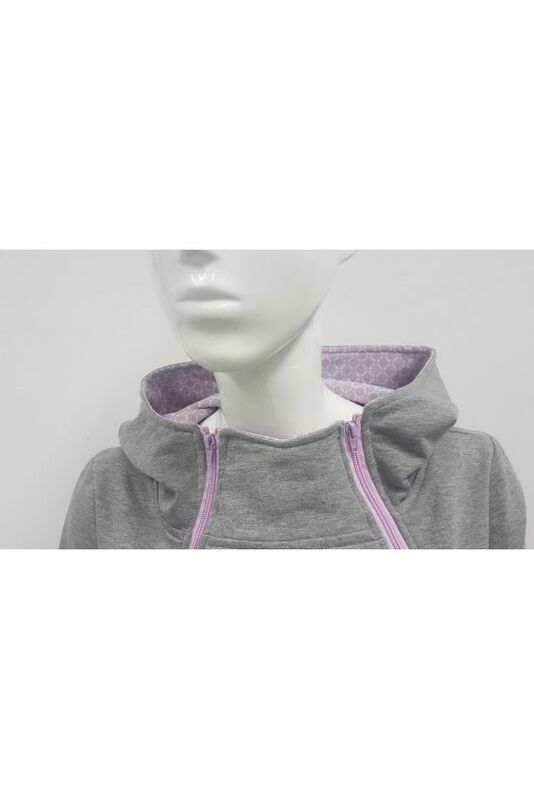 What is so unique about the Lila breastfeeding sweatshirt with a zipper? Convenient feeding - Practical solutions in the form of obliquely sewn-in zippers allow you to comfortably and discreetly feed your baby.